If you have any questions about the ASTARTE II information page below please contact us. 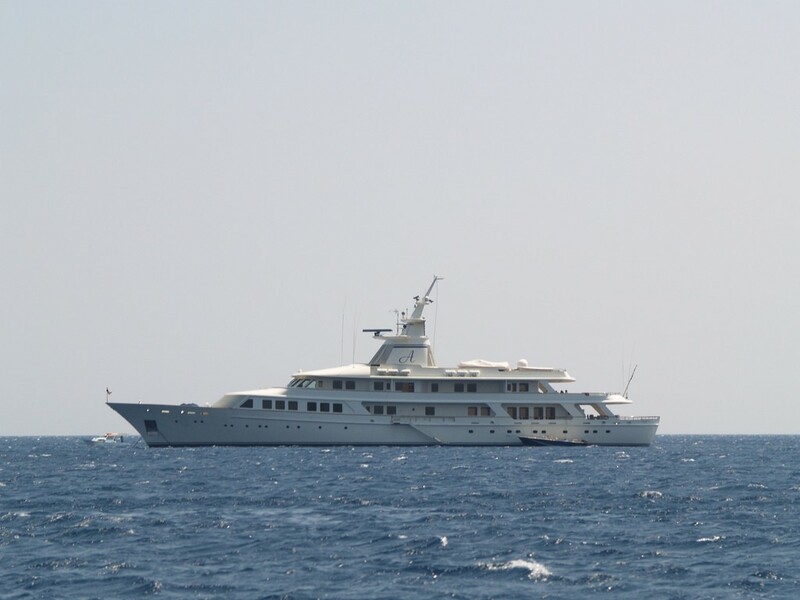 The motor yacht ASTARTE II is a 65 metre 214 (ft) prominent steel vessel which was made at Blohm + Voss Shipyards & Services and devised from the design board of Blohm + Voss and Ross Industrie. 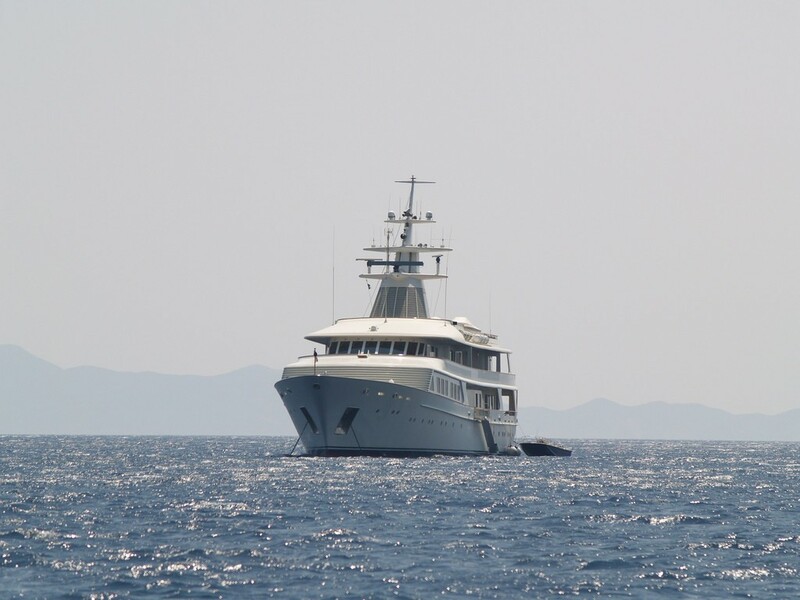 Accommodating 20 passengers and 20 crew members, motor yacht ASTARTE II was named Katalina. The firm of naval architecture responsible for her plans and general arrangement in respect of this ship was Blohm + Voss and Ross Industrie. The interior designing was created by Jacqueline Thwaites/Michael Inchbald. Motor Yacht ASTARTE II is a true classic and was the second in a series of similar yachts built in the ‘Katalina’ series. 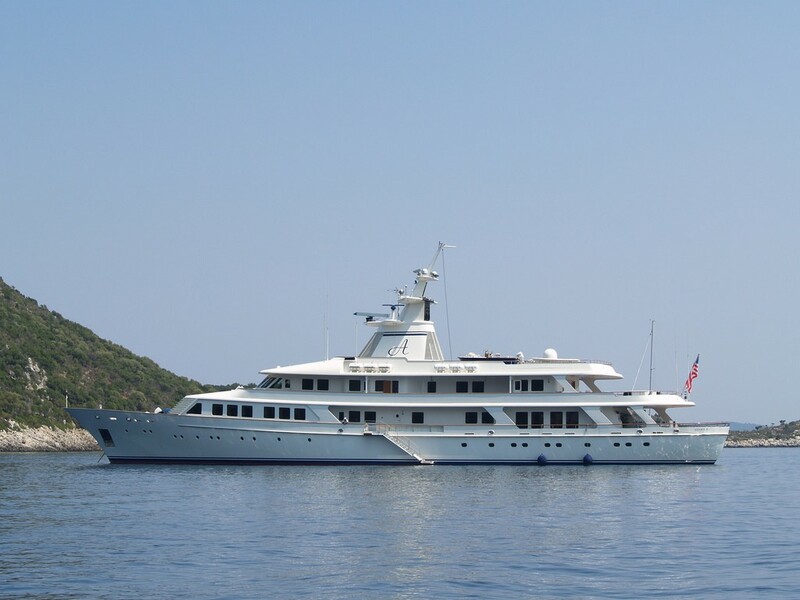 The owner of ASTARTE II has ties to the Greek shipping industry and she can often be spotted around Athens. Blohm + Voss was the naval architect involved in the technical superyacht plans for ASTARTE II. Her interior design was realised by Jacqueline Thwaites/Michael Inchbald. Blohm + Voss and Ross Industrie is also associated with the yacht wider design collaboration for this boat. Created at Blohm + Voss Shipyards & Services the vessel was completed in the yacht producing country of Germany. She was officially launched in Hamburg in 1987 before being handed over to the owner. A spacious area is achieved with a total beam (width) of 10.8 m / 35.43 ft. With a 4m (13.1ft) draught (maximum depth) she is fairly deep. The material steel was used in the building of the hull of the motor yacht. Her superstructure above deck is fashioned out of aluminium. 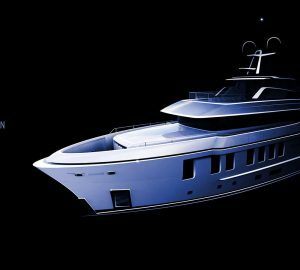 Powered by two DEUTZ-MWM diesel main engines, ASTARTE II will attain a high speed of 18 knots. For propulsion ASTARTE II has twin screw propellers. She also has an efficient range of 10000 miles when motoring at her cruising speed of 16 knots. Her total HP is 6000 HP and her total Kilowatts are 4462. As for the yacht’s stabalisers she utilises Blohm + Voss. 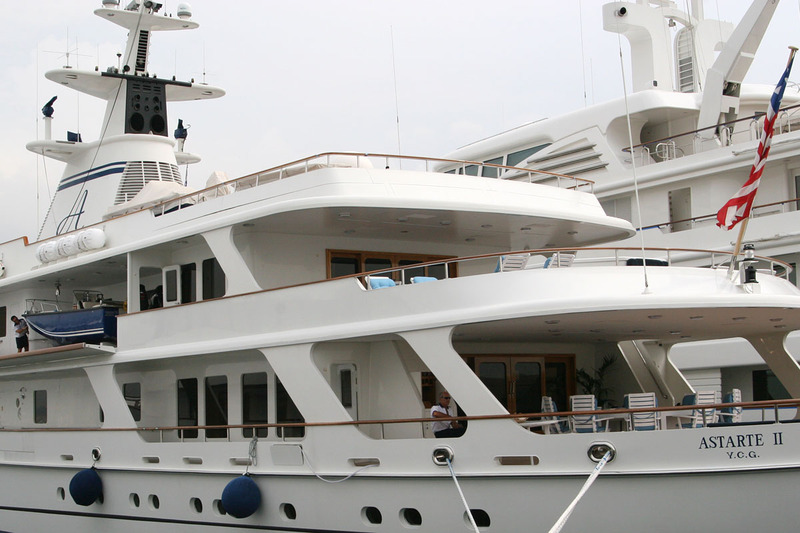 The prominent luxury yacht M/Y ASTARTE II can accommodate a total of 20 people and 20 qualified crew. 65.22 metres / 214 feet. Range in nautical Miles is 10000 at a speed of 16 knots. Deutz-Mwm 2 times 249 kilowatts, 1 times 97 kilowatts. The yacht was supplied with Bby air conditioning. Her deck material is predominantly a teak deck. 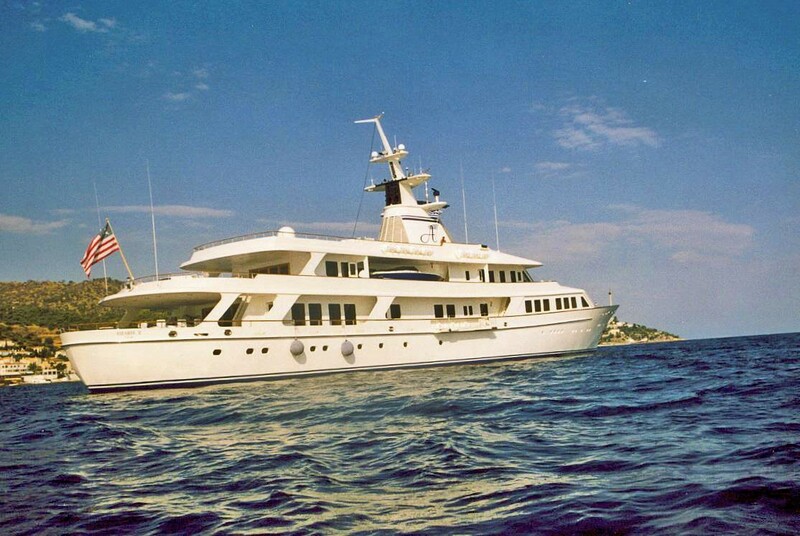 The luxury yacht ASTARTE II displayed on this page is merely informational and she is not necessarily available for yacht charter or for sale, nor is she represented or marketed in anyway by CharterWorld. This web page and the superyacht information contained herein is not contractual. All yacht specifications and informations are displayed in good faith but CharterWorld does not warrant or assume any legal liability or responsibility for the current accuracy, completeness, validity, or usefulness of any superyacht information and/or images displayed. All boat information is subject to change without prior notice and may not be current.